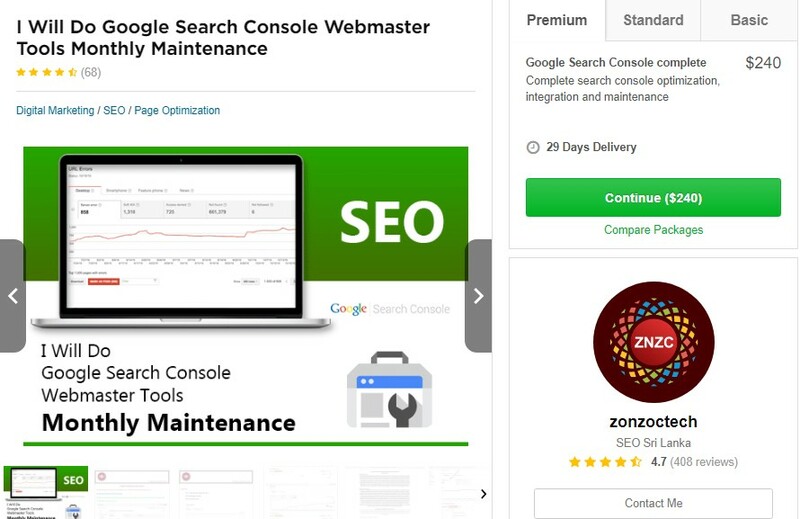 Many people, including myself have done an SEO audit and used tools like screaming frog and after your left scratching your head what to do next. 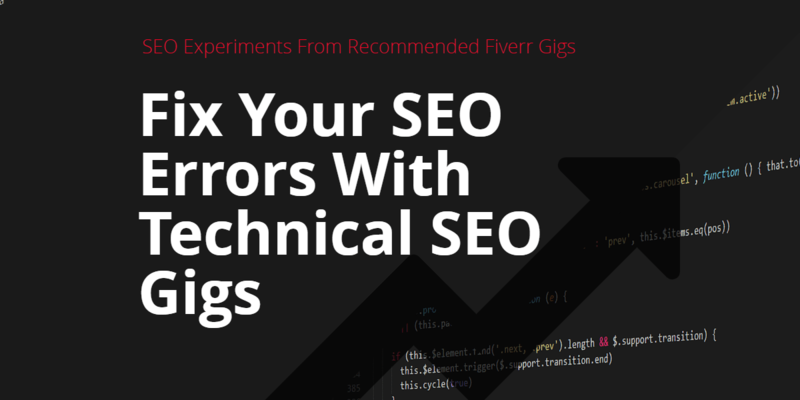 The technical SEO stuff can be and is confusing for most people. Personally I’m an SEO strategy type of guy but if you ask me techie questions I haven't a clue. 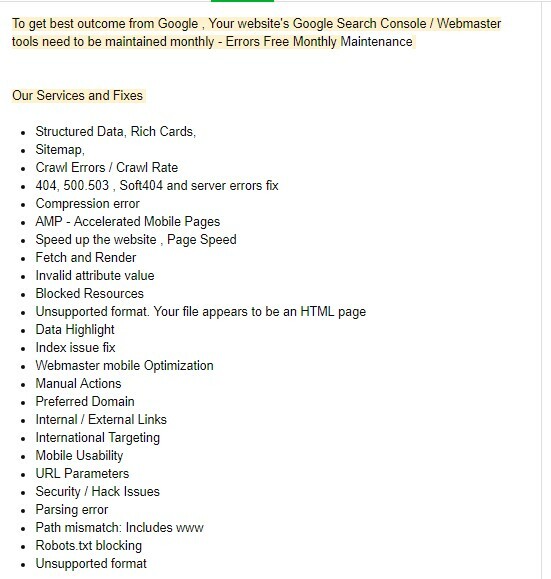 Well the good news for people just like me is that there are people who offer this kind of service to fix all of your technical SEO errors. 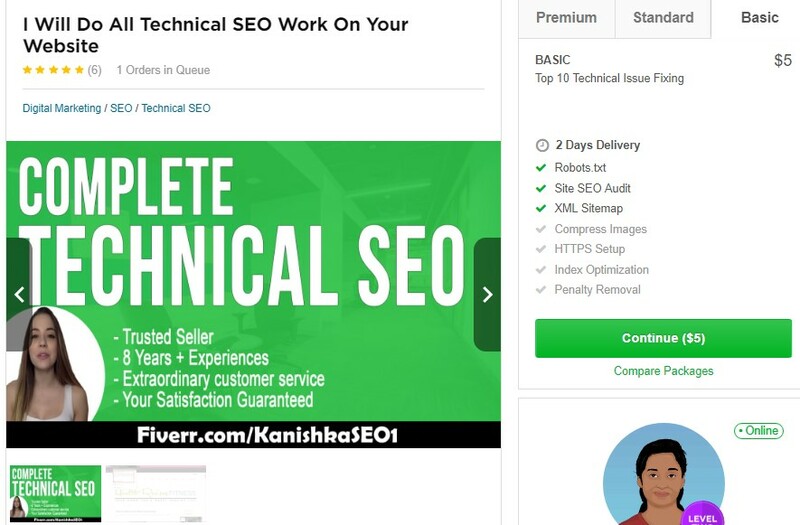 On fiverr we can find a wide range of people offering this and although the price points might seem steep on a site like fiverr, they are actually great value for money…”if” you can choose the right guy to work with. 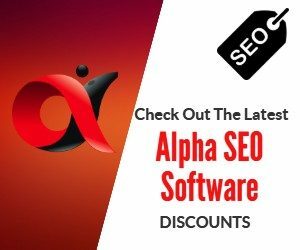 As it happens I have 4 sites that need technical SEO assistance and what I am going to do here is choose “up to” 4 different gigs, at different price points and report back on my findings. Basically start with one that looks promising and move onto the next if I think the service could have been better. 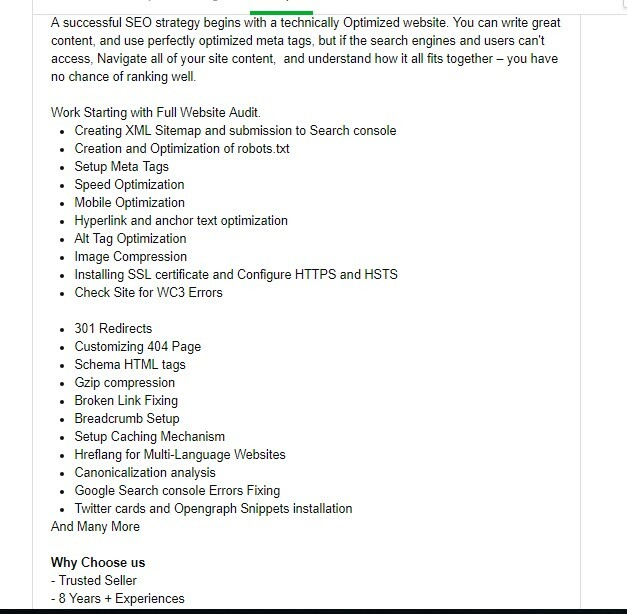 What I will be looking for is someone who knows and understands site speed optimization, schema and rich snippets, penalty fixes, W3c errors etc. 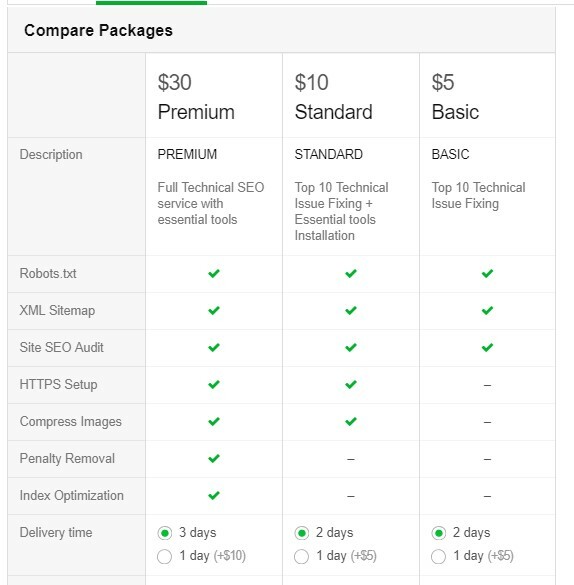 $30 seems a very low cost compared to other gigs but he has gone more detailed so I will test him with a site that has less value before moving on to the bigger high traffic sites. I will also be looking for someone who understands Google search console errors really well. Check back in a couple of weeks and we will see how these guys gets on and I will report on any improvements in rankings. If you subscribe to my list you will get notified of updates on this and other posts as well as new tutorials within hours of them being published. To sign up you can get free access or one or all of these courses for free and submit your email to access them.